The Mermaid House, formerly known as Slamming Doors ~ Where the West Indies meets Pawleys Island. Colorful and happy, bright and sunny, inviting and intriguing! This home speaks to you from the moment you drive on to the tabby pavers. 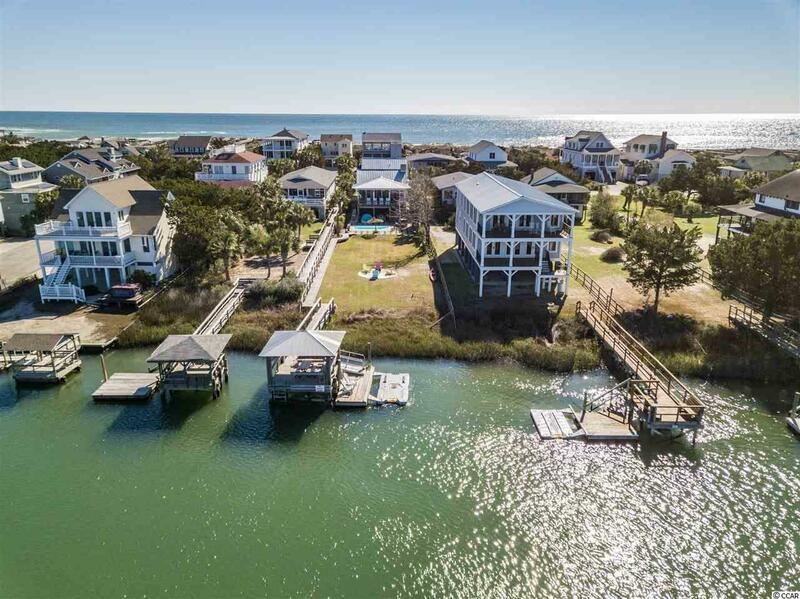 Once you step on to the front porch and are greeted by the turquoise glass doors your eyes are immediately drawn to the beautiful Pawleys Island creek. 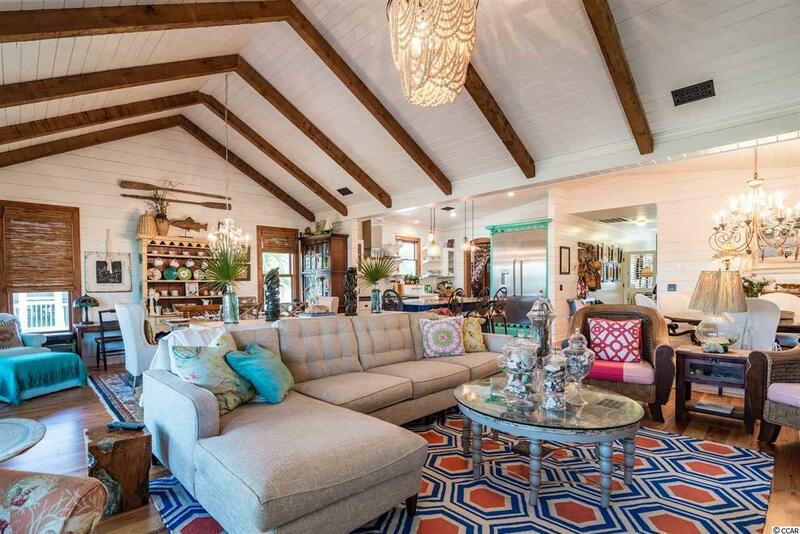 The amazing high ceilings and dramatic beams along with reclaimed wood finishes, hardwood floors and shiplap walls set the stage of a well-loved home. A chefs kitchen features open shelves, state of the art professional appliances and a dramatic center island as a backdrop to a beautiful sea glass and oyster shell custom countertop. The master suite invites with a stunning shell chandelier, vaulted beamed ceiling leading to a spa bath with salvaged claw foot tub, large tile shower and marble counters and double sinks. 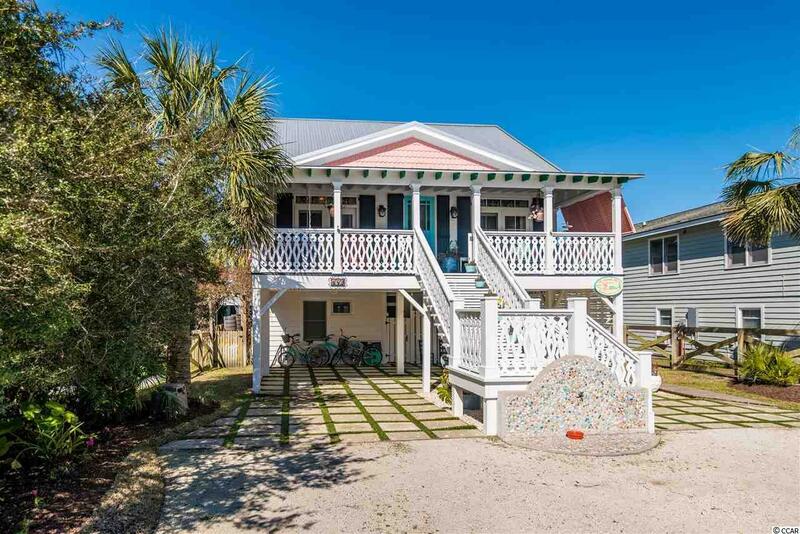 The main floor pays homage to the comfort and ease of Island living with highly custom lighting, expansive windows and brick fireplace, a wonderful screened in porch and a rocking chair filled deck. The entire home was completely renovated in 2012 no expense spared, with well thought out plans and designed for easy entertaining throughout. The ground floor will blow you away! A full apartment along with separate guest room and bath all share the open and airy entertaining space, wood fireplace, outdoor kitchen, fire pit with colorful Adirondack chairs, hot tub and salt water pool youll never have a reason to leave! 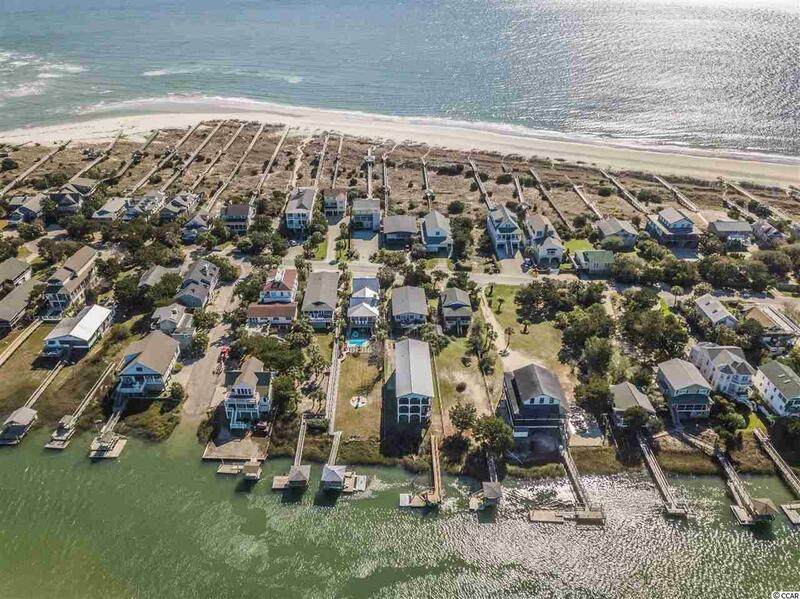 149 Atlantic Avenue is on a large double creek front lot with a new stationary and floating dock and close to the beach access to the beautiful Atlantic Ocean! Seaside Pawleys Island, South Carolina is located just north of historic Charleston and south of the vacation destination Myrtle Beach. Myrtle Beach International Airport is about 30 minutes away.